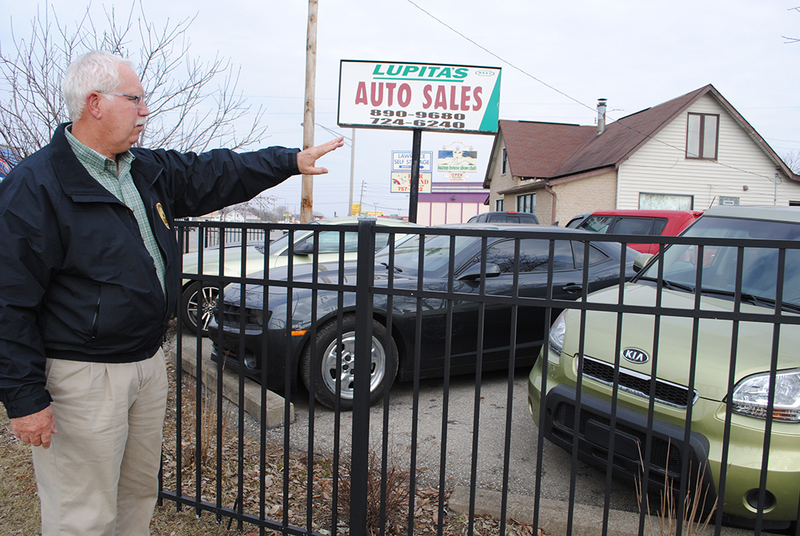 If City of Lawrence Mayor Steve Collier has his way, car lots on Pendleton Pike may soon be a thing of the past. Collier said he plans to implement an overlay in January 2020 for Pendleton Pike to limit future car lots. The plan won’t negatively affect current used car lot owners. Collier said used car lots change hands frequently, and he expects it will take three to four years to rid of many of the lots along Pendleton Pike. Although the businesses may be profitable, they can be eyesores to nearby residents. Collier said there are nearly a dozen used car lots along Pendleton Pike. Collier looked to the City of Fishers for a road map when considering the overlay. Fishers Mayor Scott Fadness implemented a similar overlay to limit churches on 116th Street. When the car lots vacate their property, however, it presents a new problem for Lawrence: Finding something to fill the vacancy. A potential incentive for attraction new businesses to the area is an established Opportunity Zone on Pendleton Pike and 56th Street. The Tax Cuts and Jobs Act of 2017 allows governors to nominate certain census tracts as Opportunity Zones, subject to approval by the U.S. Dept. of the Treasury. There are 156 Opportunity Zones in Indiana. Collier expects residents to begin to see development inside the Opportunity Zone within the next four to five years. He described the Opportunity Zone as a program that enhances tax increment funding benefits for businesses. Utility Supt. Scott Salsbery said the city needs to strategic with regard to attracting new businesses. “How we handle business in Lawrence is extremely important, especially in light of the fact (we are) 90 percent residential and 10 percent commercial,” Salsbery said. Up until the 1990s, Fort Benjamin Harrison was as an active military base. City of Lawrence Mayor Steve Collier said certain businesses often sprung up around military bases.